Provide comfort for the family of Jeffrey Pompa with a meaningful gesture of sympathy. 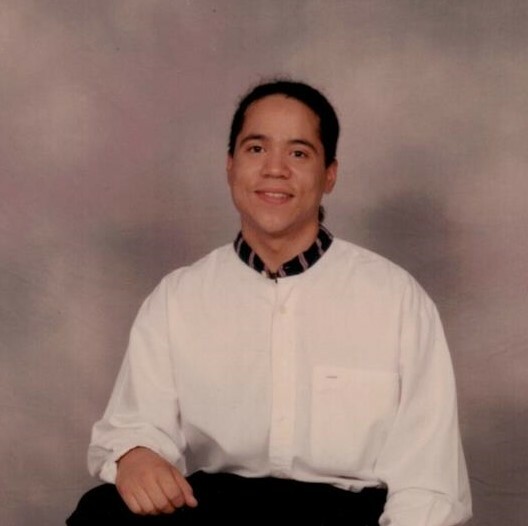 Jeff T. Pompa entered eternal rest on Wednesday, March 13, 2019 at the age of 40. He was born on July 30, 1978 in Amarillo, TX to Isaac Robert and Ree (Saldana) Pompa. Jeff was active in many different sporting activities. He graduated from Amarillo High School in 1996. He earned an Associate of Applied Science in Radiologic Technology from Amarillo Community College and went on to be employed for the BSA Health System in Amarillo for 14 years as an X-Ray Technician. He loved camping, fishing, and taking pictures in Red River, NM. Jeff loved photography and would take photos at any time, especially capturing beautiful images of the clouds. He loved the Lord and found much joy listening to Christian music and faithfully supported and followed Joyce Meyer and Joseph Prince. Jeff was a free spirit who had a big heart and an infectious smile. He was always there to offer encouragement to anyone he met. He was preceded in death by his father; brother, Isaac Robert Pompa, Jr.; paternal grandfather, Frank Pompa; maternal grandparents, Jesus Saldana and Anita Arce; aunt, Bertha Saldana Vallejo; and uncle, Domingo Jesus Saldana. He is survived by his daughter, Jordan Pompa; granddaughter, Kyra; mother, Ree Pompa; paternal grandmother, Lucille Pompa; special friends, David Contreras and Brenda A. Todd; numerous aunts, uncles, cousins, other relatives, and many friends. Jeff was a special blessing and will be greatly missed and loved by all his family and friends. Some of Jeff’s favorite quotes which he lived his life by was, “I’m very blessed”, “Don’t worry, we were not meant to worry”, and “God never gives you more than you can handle.” Visitation will begin at 4:00 p.m. on Friday, March 15, 2019 at Finch Funeral Chapel- Nixon, and a Prayer Service will be conducted at 6:30 p.m. that same evening at the funeral home. David and Virginia Maldonado will officiate the services. Interment will follow at Union Valley Cemetery near Nixon, TX. A Memorial Service will be held Saturday, March 30, 2019, 3:00 p.m., at the BSA Healthcare System Chapel in Amarillo, Texas. To send flowers to the family of Jeffrey T. "Jeff" Pompa, please visit our Heartfelt Sympathies Store. A Prayer Service will be held at 6:30 PM. We encourage you to share any memorable photos or stories about Jeffrey. All tributes placed on and purchased through this memorial website will remain on in perpetuity for generations. Provide comfort for the family of Jeffrey T. "Jeff" Pompa by sending flowers. My condolences to the Pompa family during this difficult time. In the Bible, Jehovah God gives us hope. Acts 24:15 says, “there is going to be a resurrection of both the righteous and the unrighteous.” Revelation 21:4 says, “and he will wipe out every tear from their eyes and death will be no more.” Very soon we will see the fulfillment of these promises here on Earth. We hope you find comfort in God’s promises.